teful for his commitment and dedicated service. Mr. Griffiths brings extensive experience in conflict resolution, negotiation, mediation and humanitarian affairs. Since 2014, he has served as the first Executive Director of the European Institute of Peace. Between 2012 and 2014, he has served as an adviser to three Special Envoys of the Secretary‑General for Syria, and Deputy Head of the United Nations Supervision Mission in the Syrian Arab Republic (UNSMIS). 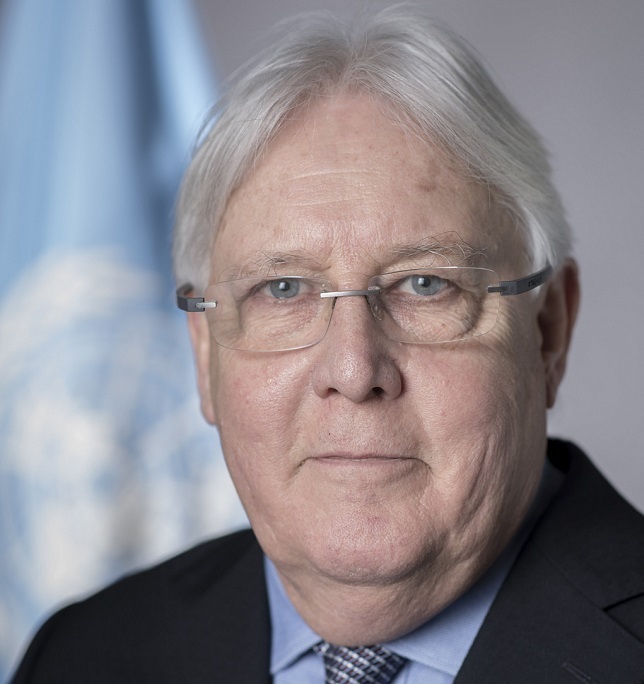 From 1999 to 2010, Mr. Griffiths was the founding Director of the Centre for Humanitarian Dialogue in Geneva, where he specialized in developing political dialogue between Governments and insurgents in a range of countries across Asia, Africa and Europe. He also worked in the British diplomatic service and for various international humanitarian organizations, including the United Nations Children’s Fund (UNICEF), Save the Children and Action Aid. 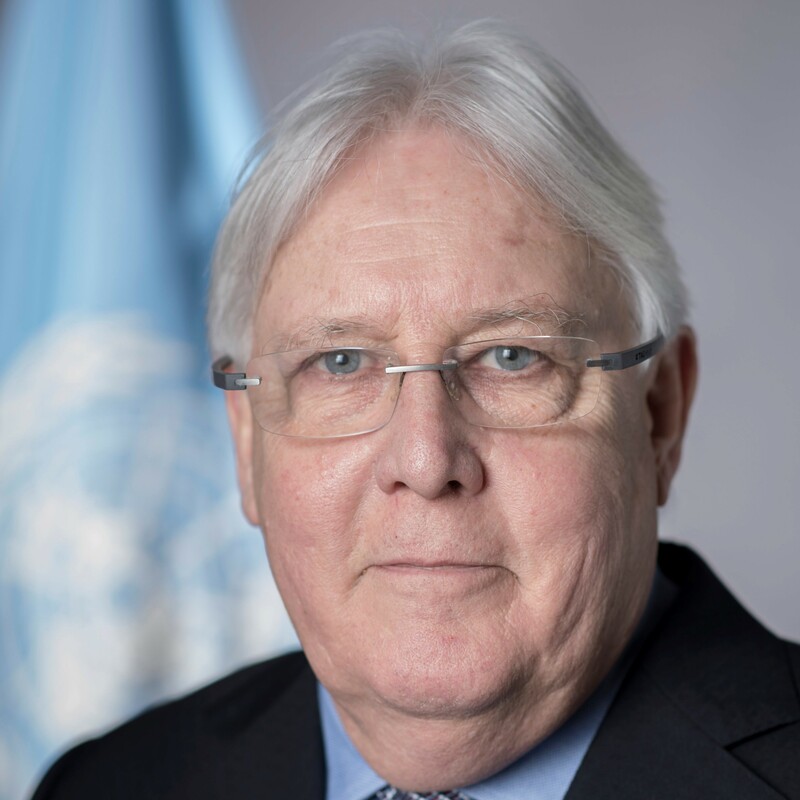 In 1994, he served in Geneva as the Director of the Department of Humanitarian Affairs, which preceded the establishment of the Office for the Coordination of Humanitarian Affairs. From 1998 to 1999, he served as Deputy to the United Nations Emergency Relief Coordinator in New York. He has also served as United Nations Regional Humanitarian Coordinator for the Great Lakes and in the Balkans. Mr. Griffiths holds a master’s degree in Southeast Asian studies from the School of Oriental and African Studies at the University of London, and he is a qualified barrister. Born in 1951, he is married and has two children.